Only recently we have told you eight very interesting things about the upcoming The Witcher 3 game, and today we hasten to share some new information. Thus, yesterday the developer of this action-RPG decided to please the fans of The Witcher game series and presented some fresh very colorful The Witcher 3: Wild Hunt screenshots. 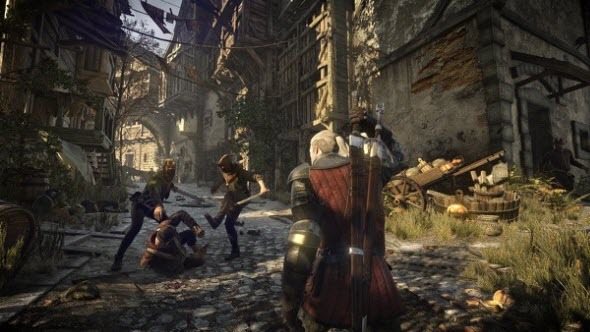 On all three images (just as many new images we were presented) we can see the main character of the project - Geralt, - who is depicted in different game’s locations. 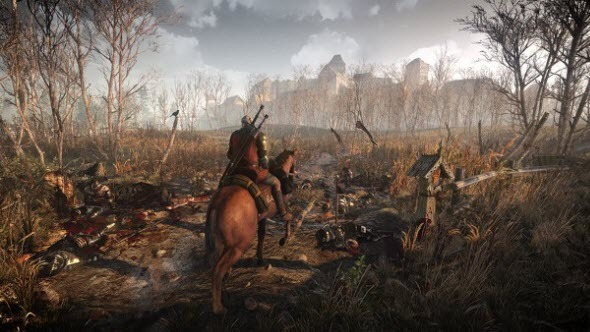 The first screenshot shows the protagonist who is riding on his horse and passing a field of battle, where there are a lot of dead men, and the land around is swamped in blood. On the second image we find our hero on the streets of a typical city of the huge The Witcher world. Here he needs to save a man from two robbers, who apparently are intended to steal everything he owns and brutally kill (or hurt) him. 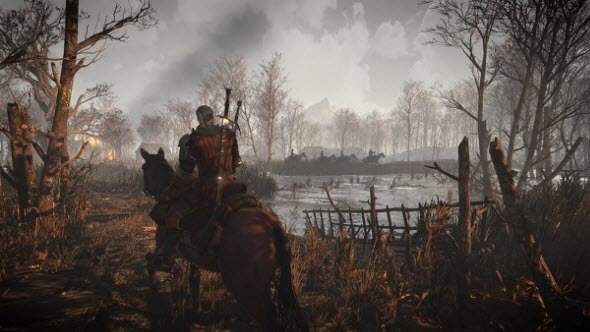 And finally, the third picture shows us Geralt, who is traveling on horseback through some eerie swamps and forests that are cut down. But he's not alone, so will he have to do battle? Whether it’s true or not, we aren’t able to know, but we can look at these beautiful The Witcher 3: Wild Hunt screenshots and dream a little. Is that right? We remind you that The Witcher 3 game is scheduled to be launched in the second half of this year for PC and next-generation of consoles.